Sweatbox Animation provides storyboards, story development, character design, animation and practically all other production aspects of high quality animated movies, shorts and TV commercials, both hand-drawn and CGI. Story and character development on CGI feature "Harvie and the Magic Museum" (2017), Rolling Pictures, Prague. 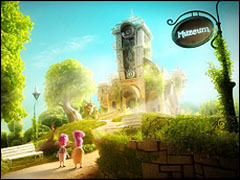 Asterix - "Mansion of the Gods" (2014), M6, France. (2013), A.Film/ Nordisk Film, Copenhagen. Sommerpark, Sun-Top, Coca-Cola and Kellogg's. 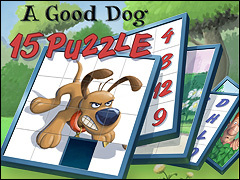 "A Good Dog - 15 Puzzle"
The game is based on the classically animated short, "A Good Dog"
Storyboard on the second season of British Aardman's TV-series "Shaun the Sheep". Series 2, episode 24, "Bitzer's Basic Training" - Bitzer the dog thinks the farmer is planning to replace him, so Shaun helps to knock his friend into shape. 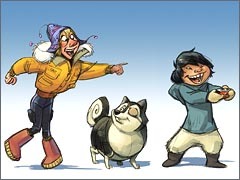 Character design and modeling supervision on "Mikisoq." The CGI feature is set in the breathtaking landscape of Greenland. 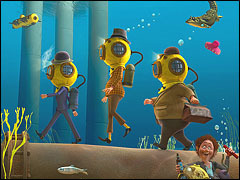 The movie is still in development by Parka Pictures, Copenhagen. Storyboard, character design, modeling supervision and CGI animation on "Sunshine Barry and the Disco Worms". 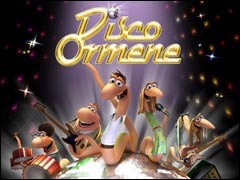 A movie about a bunch of worms rising from the bottom of the food chain to form a disco band. 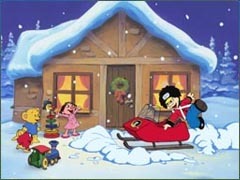 Radar Film, released October 2008.
a CGI feature by Nice Ninja Productions, released 2012. 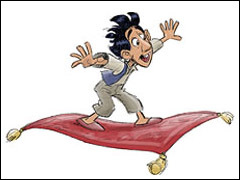 Storyboard on "Mullewapp", MotionWorks, Germany, released 2009. Storyboard on "Jasper - Journey to the End of the World", Toons 'n' Tales, Germany, released 2009. 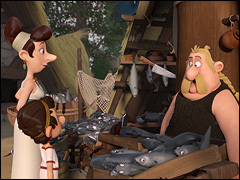 Character animation on "Nocturna", Filmax/Animagic, Spain (2006). Character and prop design, storyboard and animation on "Asterix And The Vikings", M6/A-Film (2005). View trailer here. 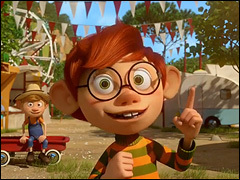 Click here for more information on Feature Animation. Other activities include various illustrations and old fashioned 2D-style computer games.